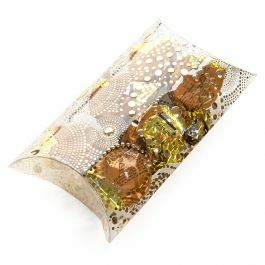 Crystal clear pillow boxes are a perfect fit for gifts and candy. Our PB77NH box measures 4" x 1 1/8" x 6" and has a usable space of 4 7/8" (middle length). The soft, rounded look of pillow boxes offer an elegant alternative to traditional boxes. Clear round stickers are included. 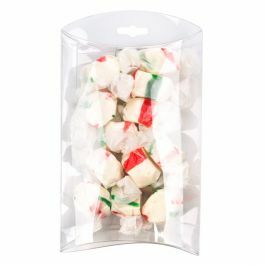 This 12 mil box offers durability for the retail setting. Food safe. 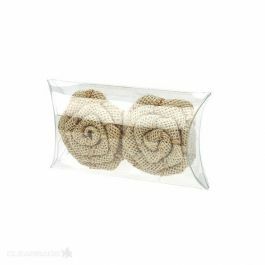 Pillow boxes offer a fun way to present retail products and gifts. The PB77NH box measures 4" x 1 1/8" x 6" and provides a usable space of 4 7/8" (middle length). 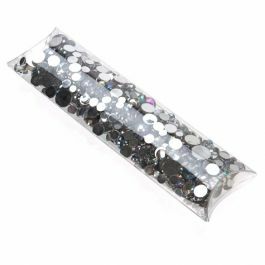 The unique pillow-shape works well for jelly beans, mints, earrings, beads, herbs, and more. The material is 12 mil thick and made of high-density PET for a exceptional clarity and durability in the retail setting. This box does not feature a hanging strip. Clear round stickers can be applied for a theft-proof closure and are included with this product. Food safe. Easy assembly. Outer Dimensions: 4" x 1 1/8" x 6"